A Liberal Democrat government would examine the effects of the lobbying act on charities with a view to amending it as a "first priority", according to Martin Horwood, the Lib Dem MP for Cheltenham. 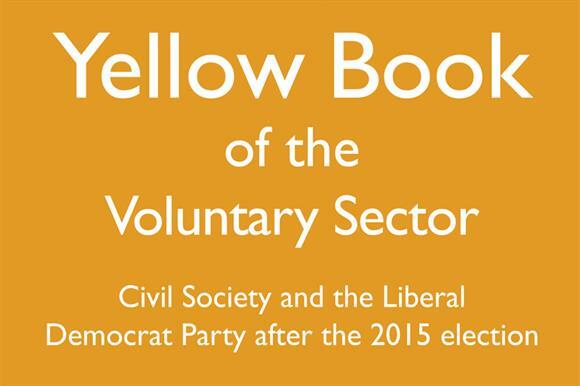 Horwood’s comments are contained in The Yellow Book of the Voluntary Sector, which is made up of short essays written mostly by Liberal Democrat politicians and has been published this week by the charity chief executives body Acevo. Acevo published similar blue and red books, made up of pieces written mainly by Conservative or Labour politicians, at those parties’ respective conferences. Horwood, who worked for Help the Aged, now Age UK, and Oxfam and was director of fundraising at the Alzheimer’s Society before entering parliament, writes that his party did push for the creation of the legislation to control the professional lobbying industry and "because of the risk that campaigning organisations, yes even voluntary ones, were beginning to send us down the American path of uncontrolled political spending by third parties". He says: "But the idea that it was an attempt to silence the political voice of charities, however inaccurate, gained real credibility. "Given existing charity law, which prohibits charities from indulging in that kind of party political campaigning, I still can’t see why we didn’t just exempt charities from the whole thing." He says the bill contains "poorly thought-out wording", which needs revisiting. The Transparency of Lobbying, Non-party Campaigning and Trade Union Administration Act 2014 became law in January despite fierce opposition from charities and other groups that feared it would impinge on their ability to campaign freely. In the run-up to elections, charities spending more than £20,000 in England or £10,000 in other parts of the UK on particular "regulated activities" must register with the Electoral Commission as non-party campaigners. "My first priority for an incoming Liberal Democrat government would be look afresh at how the lobbying act is affecting charities and restate, in legislation if we have to, the critically important role voluntary organisations have to play in our democracy," writes Horwood. "We must safeguard that hard-won principle that if a charity finds from its work with the poor or the disadvantaged, with animals or the environment, in sport or art or local communities, that something is wrong, then they have not only the legal right but the moral duty to do something about it – and about its cause, not just its symptoms." Horwood writes that it is a "mystery" to him how the Liberal Democrats have become "almost invisible in the sector in recent years", particularly because the Lib Dem philosophy is ideal for the voluntary sector, he says.